Day One of BLOGMAS- Where Have I Been? Spilling the Tea..
HIIIII Everyone. I am back. I just finished my MASTERS program, while working full-time with four children one being only 2 years old. It was a challenge, but now I have more free time. I've been doing yoga and meditation to rid myself of all the extra stress and negativity. If you don't know, I now live in the United States and I am no longer married. This is a whole new world I've been adjusting to for the last three years. You'd think I'd have it down by now, but I still learn everything the hard way. I believe I learn things the hard way in order to help others in a empathatic, non-judgemntal, caring way. I find myself to be very wise although I also feel very naive. Oh well. I've tried several times to create a new blog, but I just couldn't. I wanted to leave the past in the past, but the past is what has made me the woman I am today. The woman I was then is much different than the woman I am now. I am still totally a foodie, a beauty junkie, traveler, and lover of photography. It's all about finding time and saving enough money. All these things I will continue to share along with my family and other aspects of being a working mom doing the damn thing. There are many things that makes my situation quite unique that I will not elaborate on right now. However, when I hear or read about women in a similar situation as mine, I get so giddy- haha. But we are so damn busy to even spark up a proper greeting or at least I am. 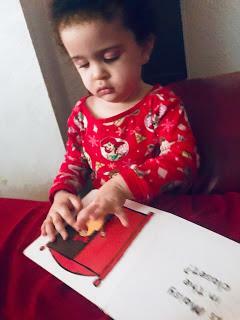 I am too busy for anything especially with older kids getting into everything outside the home and a baby who gets into everything inside the home. So why did I decide to do BLOGMAS? Well, I am kind of a youtube junkie and I love when my favorite vloggers do vlogmas. It's where they vlog everyday. I know some people find it trivial to follow "regular" people, however, I love it because I am nosy and look for inspiration everywhere haha. I feel like blogmas is a way to get back to blogging, but also hopefully inspire that mom who doesn't think she is doing enough- which is me almost 100% of the time 65% of the time hehe. Day 1 was a day at home. I work all week so I enjoy my rest. My son had a soccer day that my boyfriend who is also his coach took him to. I stayed home and did my yoga as well as meditated, played with the babies. 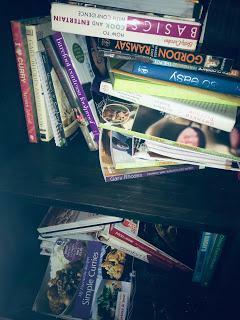 I also decided to dust some old cookbooks off to use. 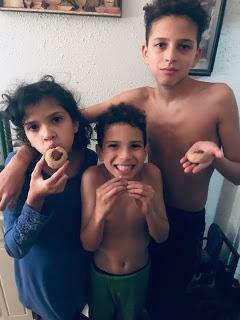 My kids ask me why I don't use I say because I don't need them and the internet is so much easier when I was to tweak a recipe. So this week, I am cooking straight from the books. I did my meal plan and as I work 40 hours plus over time- which is an additional 10-20 hours a week, so the more simple the better. 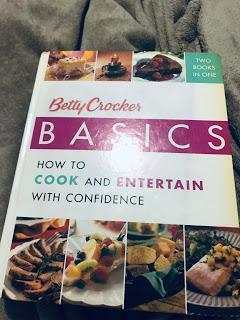 This is the very first cookbook I bought over a decade ago. I look at it now and when they say basic it's truly basic haha. But the recipes are easily tweakable and we all enjoyed it then, so why be boujee about it now haha. 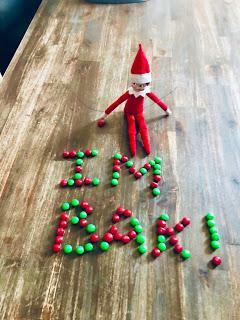 Also we haven't done any decorating for Christmas yet, but Elf Skywalker has decided to pay a visit today. The kids were cautiously excited. The baby just wants the candy haha. 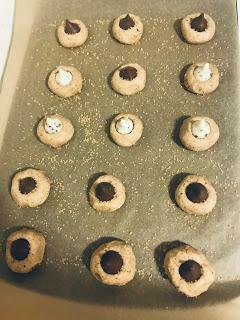 I also to bring some christmas cheer in this home, I decided to bake cookies every weekend and everyday during the 12 days of Christmas. 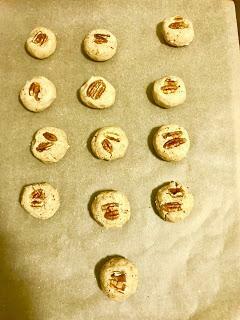 So that may mean making some dough in advance haha.I made Ina Garten's Pecan Sandies. I also added Hershey kisses to some because.....why not? 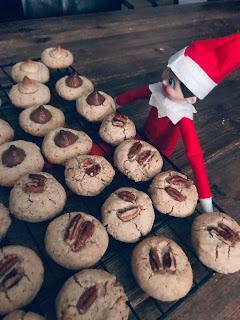 The kids and the elf enjoyed them.